They harvest the maize cob. 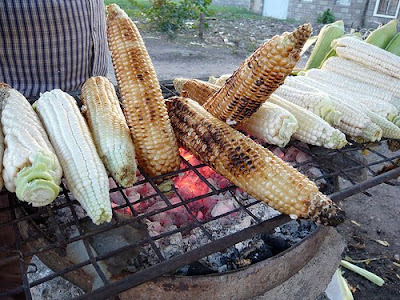 They take the maize cob to the kitchen. They place the maize cob on the fire to roast. And Kashokondwa burns to death.